Davina will be joining a host of fabulous faces for an action-packed evening in aid of Comic Relief. On Friday 13 Red Nose will broadcast live, for the first time ever, from the London Palladium. Claudia Winkleman and Lenny Henry will be amongst the popular personalities joining Davina as they present an unforgettable evening of entertainment packed full of celebrity performances, comedy gold and silly spoofs! If that wasn’t enough, the public will also be treated to never-seen-before sketches, including a Phoenix Nights special starring Peter Kay, and Dawn French will return as Geraldine Granger in The Bishop of Dibley. Plus you can join in on all the money-raising action and ‘make your face funny for money’. Whether you paint your face, wear a Red Nose or grow a sponsored comb-over, it couldn’t be simpler to get involved and join millions of people up and down the country raising a life-changing amount of cash. Top off your funny face with one of this year’s nine new Red Noses. They’re a right bunch of characters and are hiding away in special surprise bags, available at Sainsbury’s, Oxfam and rednoseday.com. 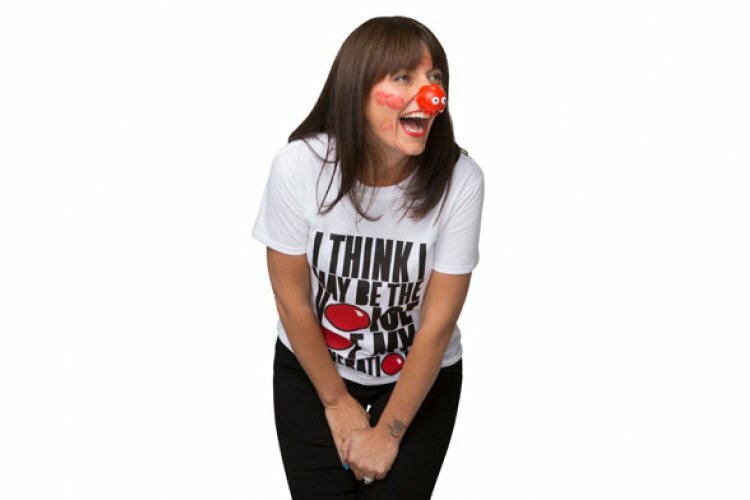 This year’s Red Nose Day collection also includes seven different Red Nose Day T-Shirts designed by Anya Hindmarch, Diane von Furstenberg, Henry Holland and Matthew Williamson, and a onesie available exclusively from TK Maxx and tkmaxx.com. Since the last Red Nose Day, Comic Relief has helped over 12 million people living unimaginably tough lives all over the world, using money raised through Red Nose Day, Sport Relief and other partnerships. Money raised this Red Nose Day will help to change the lives of millions more. Tune in to Comic Relief’s Night of Telly on Friday 13 March from 7pm on BBC One and BBC Two.